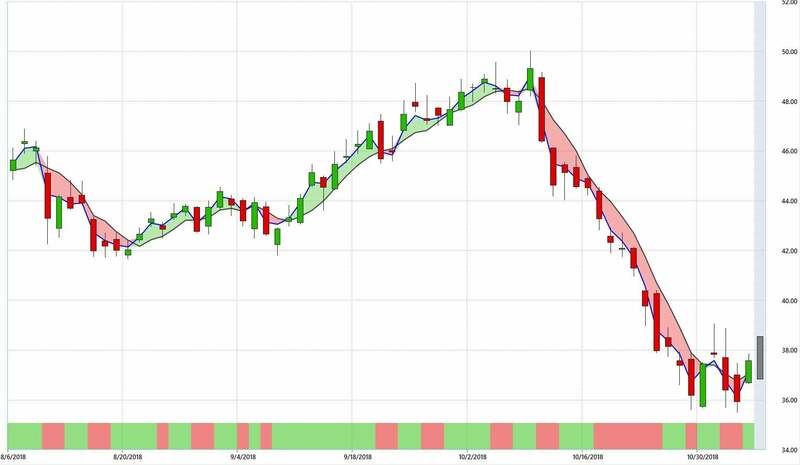 The following stocks are currently in the midst of notable trends according to VantagePoint ai, a charting platform that uses intermarket analysis and artificial intelligence to predict future price action 1-3 days in advance. For a more detailed look at VantagePoint's charts, click here. Apache Corporation (NYSE: APA) looks like it has made a bottom at the $36 level. Note how the blue line, a predicted moving average, has converged with the black simple moving average. On top of that, the predicted neural index at the bottom of the chart and predicted gray candle is forecasting upside into the 38 handle on Tuesday. 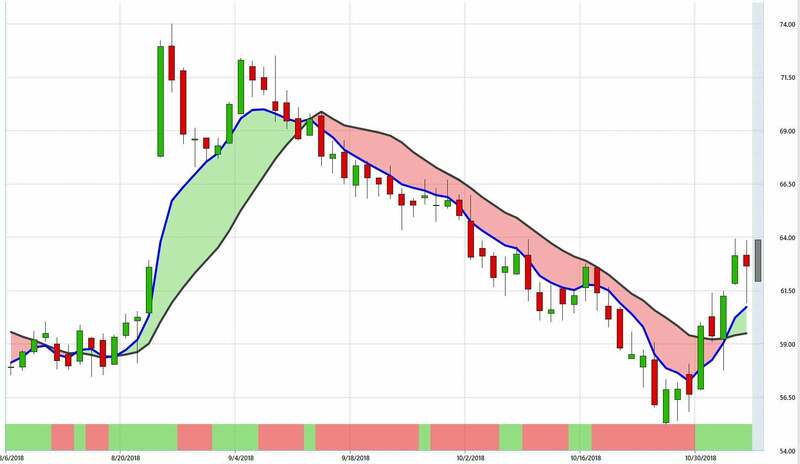 Denbury Resources Inc. (NYSE: DNR) experienced a sell-off with the rest of the market in October, but like Apache it also looks like it has made a bottom. The stock appears to have found a level of support just below $3.50. Monday's red candle, combined with predicted upside for Tuesday has this one on our bullish radar today. 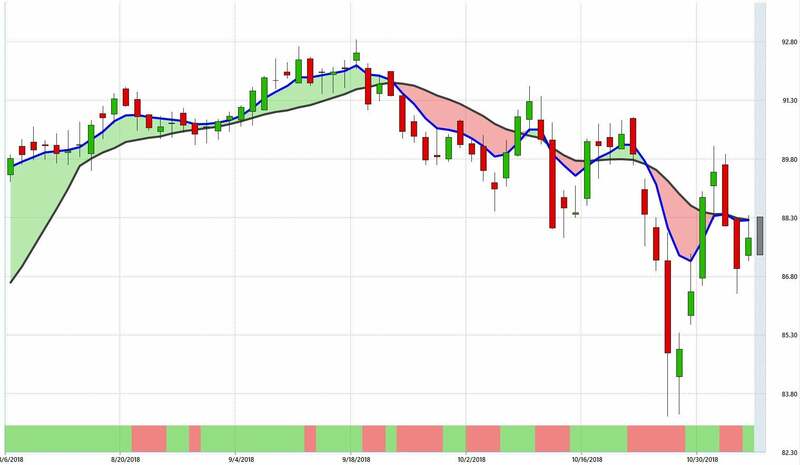 Waste Management Inc. (NYSE: WM) has been very volatile the last few weeks, but the chart is forecasting a second straight up day for the stock on Tuesday. 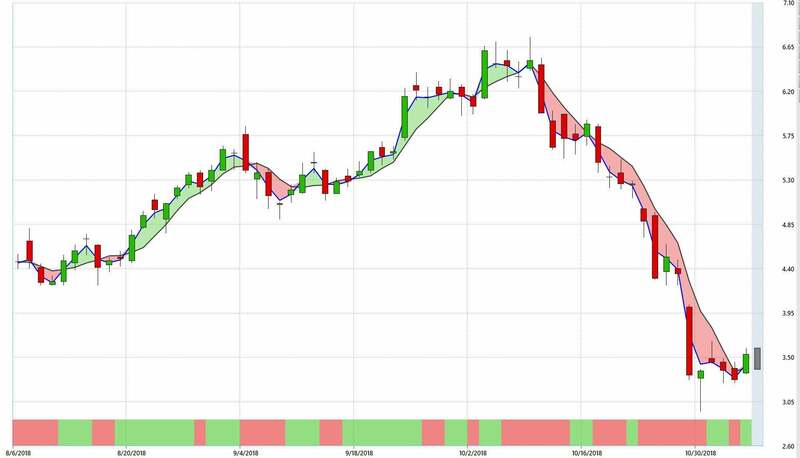 WM's low of the move was all the way down at $83.22 after the company reported earnings, but it doesn't appear the stock will head back down in that direction. 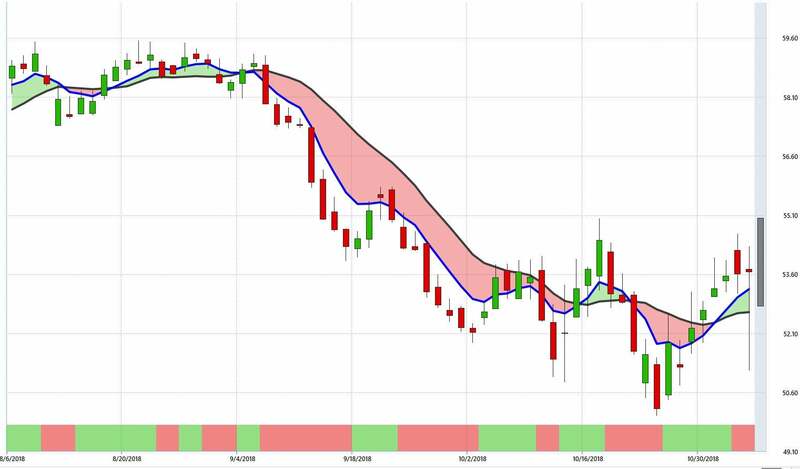 Wells Fargo & Co (NYSE: WFC) had a bullish crossover in the moving averages on Oct. 31. Despite a couple of down days since then and a red predictive neural index, the bullish trend appears to be intact. WFC is trading down 1 percent in Tuesday's session. 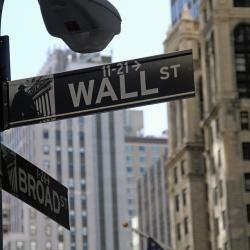 Williams-Sonoma, Inc. (NYSE: WSM) had a bullish crossover on Nov. 1, and since then has risen nearly 7 percent. The neural index has been squarely in the green this entire trend, and the moving averages appear primed to diverge even further, telling us that this uptrend is only getting strong. WSM was trading up 1 percent on Tuesday morning. VantagePoint ai is a content partner of Benzinga. To see what their indicators say about other stocks, futures, commodities or ETFs, or to get a free demo, click here.